Citation machines (also known as citation generators) allow you to input citation elements for your source, and generate a citation in any one of several standard formats. Automatically generate citations, in over 7,500 reference styles, by entering ISBN, book/article title, or author's name. Smartphone app (iOS and Android) also available--scan a book's barcode to generate a citation. 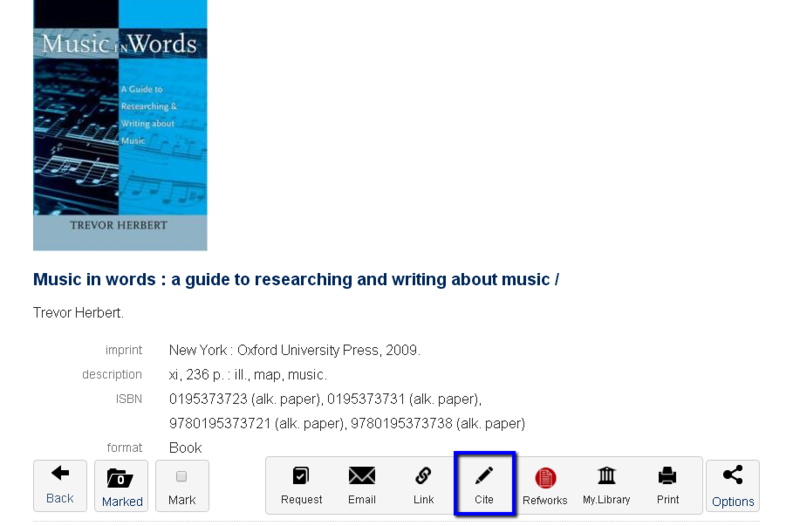 Citation Builder is a free citation creator for APA, MLA, Chicago, and CSE/CBE styles. From Portsmouth University. Very easy to use, enables referencing in both APA and Vancouver style, and at least you'll be consistent! You can get an instant formatted citation for most items in the U of T Library's catalogue. Find the item in the catalogue. Click on the Options button on the right to open the list of items.